The Return of the Shins and a Happy Michelle [Tune in Tuesday] – my books. my life. Readers, I have waited 5 long years for this. Pretty much all I wanted in the world was a new album by The Shins. And don’t give me any of that Broken Bells nonsense. I wanted real Shins. And when Port of Morrow was finally released last month, I was not disappointed. 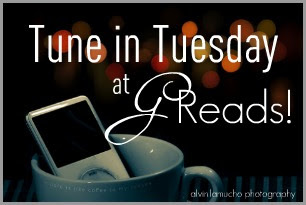 Check out all of the other Tune in Tuesday posts over at GReads! Simple Song popped up somewhere – radio? TV? and I shazamed it! Didn’t realize The Shins had new stuff out. Very nice choice this week. It’s always such a rush when a favorite band comes out with a new album. I am so glad that this one is finally out for you! I have been waiting for The Silversun Pickups to do something new for too long, and I am not very patient about it! Wasn’t aware of this, but I do love me some Shins!! I’m really digging the sound to these new songs.